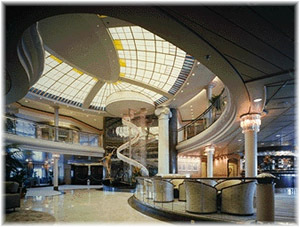 This item appeared in The Cruise Examiner at cybercruises.com on 28.03.11. For further information please feel free to consult The Cruise People’s ultra-luxury page at http://www.cruisepeople.co.uk/luxury.htm or e-mail cruise@cruisepeople.co.uk. Barbara Muckerman, chief marketing officer of MSC Yacht Club, that line’s exclusive first-class section on board their newest ships, revealed some rather interesting statistics at Cruise Shipping Miami. First off, there are now 24.2 million millionaires in the world, or at 2.5% of the world’s population, more people than there are Australians. Of these millionaires, only 16% inherited their wealth and the rest worked for their assets. Nearly half of this lot are entrepreneurs. Of this number, 40% live in the US and 10% in Japan, and the top ten also include Germany, China, the UK, France, Canada, Switzerland, Italy and Australia. The mindful consumer spends smartly and looks for quality and longevity, wanting authenticity and understated luxury – the word “bling” is heard less and less. At the same time the emphasis has gone from owning creations to experiencing things, with travel being the ultimate experience. The world of cruising now provides a large part of that quintessential luxury market, with ultra-luxury lines having increased their capacity in recent years. A rather interesting statistic revealed by Muckerman was that, in terms of butler service, Silversea provide 948 suites, Regent 355, Oceania 331 and Crystal 174. Then there are 425 staterooms in NCL’s courtyard villas, 375 Costa Samsara suites, 226 butler suites on Cunard Line and 142 in MSC’s Yacht Club. Effectively, almost 40% of butler suites are now provided in larger ships. At this point her presentation turned into a sales talk for MSC Yacht Club, but Muckerman made enough points to demonstrate that whether the ultra-luxury lines had an exclusive hold on luxury was at least debatable, as private areas, multiple dining choices and special services can also be provided on large ships. Rick Meadows, the incoming president of Seabourn, then presented some different statistics, showing that there were 4.7 million high net worth households in the United States, 1.9 million in Western Europe, 1.2 million each in Japan and China, 503,000 in the Middle East, 483,000 in the UK, 228,000 in Southeast Asia and 162,000 in Canada. Meadows’ total came to 11 million households compared to Muckerman’s 24 million individuals. Meadows also calculated that cruising had only penetrated 1.2% of that market, compared to say 3% in the United States as a whole. Meadows further calculated that of $960 billion in luxury purchases, $620 billion was for things but $340 billion was for experiences, with travel and hotel accounting for $270 billion of that. He also pointed out that 11,000 baby boomers will now turn 65 every day for the next nineteen years, which is a way of saying that the market is there for the taking. Build the ships for affluent travellers and they will come seems to be what he is saying. Sebastian Ahrens, managing director of Hapag-Lloyd Cruises, made a different contribution to the debate. In the years beyond 2010 he described the cruise market as having become a mass market phenomenon, but with ultra-luxury forms of travel emerging and becoming a siginificant volume market in their own rite as the affluent baby boom progresses. Tied to this is the advent of an age of “non-ostentation” compared to earlier years, when luxury cruising had often been a means of showing off. Younger people entering the market think differently. More today is about health, space, experience, authenticity, individuality and sustainability, as well as that most valued of commodities, time. Superficialty, ostentation, excess, noise and status are now giving way to authenticity, enlightenment, conscientiousness, discretion and symbolism. More intelligence will be sought and less sales and hype. Ahrens outlined Hapag-Lloyd’s new Europa 2 product, to be introduced in 2013. Her cruises will not be as long as offered in the past by earlier Europa’s, but will be offered instead in 7-day segments that can also be taken as 14-day or 21-day vacations, with the ship triangulating on three ports, say Barcelona, Monte Carlo and Valletta in the western Med, or Venice, Athens and Istanbul in the eastern Med, with 7-day sectors offered between pairs of turnaround ports that repeat. As to the ship itself, in addition to more verandah suites and premium and spa suites, the line will pay more attention to the children of the affluent. 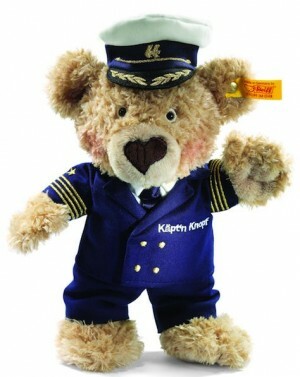 While parents will be able to make their own “private arrangements” around their cruise holidays, children will now be attracted by a new brand co-operation with Steiff, the world’s oldest maker of teddy bears, and a new bear, Captain Knopf, will be introduced to take advantage of this. Not only that, but the bears will be backed by a program of children’s books to back them up. On board, child care will be provided for three different age groups, something quite different from what was offered in previous ships that carried the name Europa. The Europa 2 will have seven plus one service restaurants, including a sushi bar, and free seating with open timing. Nor will any extra tariff be charged at any of the ship’s restaurants. This will be backed up by authentic culinary events. Entertainment will consist of a mix of production shows, solo artists and theatre and the music and talks on board, as well as the decoration (by Partner Ship Design) will be more contemporary in nature. Finally, in the winter time the Europa 2 will not perform world cruises, but shorter voyages in warm waters, for instance the Far East. The present Europa however will continue her program of world cruises for the ultra-luxury market while the Columbus 2, presently sailing as the Insignia, will look after the premium market.